View The Roadshow Launch Here. Fresh Start Foundation Ltd, a not for profit company, is delighted to announce that we, together with partners, will be rolling out a programme of child sexual abuse & Satanist ritual abuse awareness road shows throughout Scotland from Spring 2018, with the message that we will not leave any Victims & Survivors behind. The lack of engagement with the Scottish Government’s CSA Inquiry, speaks volumes that Victims & Survivors are suffering in silence in large numbers. We are inviting you to engage with us so that together we can reach out to Victims & Survivors, to empower them by giving them a voice, so that they do not have to suffer in silence any more. Accordingly, Fresh Start Foundation would like to cordially invite you to our Press Event on Thursday 26th October 2017, at the SYHA Edinburgh Central, EH7 4AL https://www.facebook.com/syhahostellingscotland/app/137541772984354/ to announce the dates for these road shows and outline why it is so important that we all work together for Victims & Survivors. We look forward to you playing your part in putting things right. Please confirm by return email that you will be coming. For and on behalf of Fresh Start Foundation Ltd, a not for profit company. A long-standing time bar which prevented victims of childhood abuse seeking civil legal action has been lifted. Survivors of abuse which happened after 1964 previously only had a three-year window to pursue damages. New laws coming into force have now changed that. Community Safety Minister Annabelle Ewing said the time bar was “against the interests of justice for those who’d survived abuse”. The three-year limit has been removed by the Limitation (Childhood Abuse) Bill. The bill was unanimously approved, by a margin of 115 to zero, when MSPs voted in the Scottish Parliament in June. 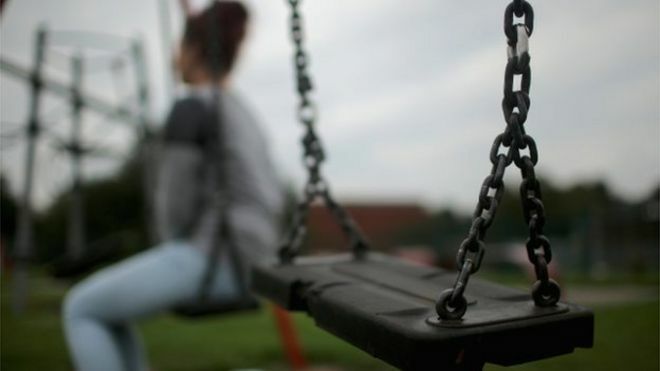 It allows the time bar to be lifted so long as the victim was a child under the age of 18 when they suffered sexual, physical or emotional abuse. The pursuer must also be the person who has been abused – so relatives of victims who have since died will not be able to seek damages. The individual responsible for carrying out the abuse can be sued directly, but damages can also be sought against employers for their current or former employees. The new law applies to anyone who suffered abuse on or after 26 September 1964, but not to victims who were abused before that date. The Scottish government has estimated a potential 2,200 victims will be affected by the change in the law. An independent Scottish Child Abuse Inquiry into historical child abuse is currently under way, led by judge Lady Smith. More than 60 institutions, including several top private schools and church bodies, are being investigated. Annabelle Ewing added: “Child abuse is the most horrific betrayal of our young people and, even where such crimes were committed decades ago, we will do all we can to help survivors get the justice they deserve. “Police Scotland and the Crown continue to work tirelessly to bring perpetrators to justice through our criminal courts. “And, while it may not be the right way forward for all, survivors may now be considering the option of accessing justice through the civil courts. Joanne McMeeking, from the Centre for Excellence for Looked After Children in Scotland (Celcis) at the University of Strathclyde, welcomed the introduction of the Act. She said: “The abolishment of the time bar is the result of many years of successful campaigning by survivors. This email concerns the disgraceful and misleading article in which unjustified attacks were made on both my reputation and that of Chief Constable Mike Veale, a gallant and professional police officer who is simply performing his duty in the face of nasty and ill-judged attacks from those who should know better. Please feel free to contact me in the interests of fair play. I shall be writing to the editor about both the attack on my reputation contained within the poorly-researched article published yesterday. As I mentioned in our conversation, I was particularly disturbed to learn of Rosie Waterhouse as one of its co-authors. Ms Waterhouse has a long and notorious record in trying to continuously undermine the credibility of those who come forward to report satanist ritual abuse (SRA), despite the number of proven convictions for this type of crime. I have listened to the testimonies of many victims and the many of the alleged crimes committed against them are simply too horrific to be widely spoken about in detail. Targets include the most vulnerable members of society including children, babies, foetuses and even some adults, who are often intimidated into silence by means of appalling threats or blackmail. The basic tactics of these criminals do not alter greatly. Even more common, for obvious reasons, is the existence of the torture, mutilation and sacrifice of animals. If the public were to learn the truth about the horror and scale of SRA, there would be a public outcry never before experienced in our country. Instead, Rosie Waterhouse`s apparent mission is to use any means in order to publicly discredit probable victims. I suspect that your highlighted comment about the police interviewing “people who believe in satanic ritual abuse” as if it was merely a matter of personal opinion may be another example of this kind of inaccurate black propaganda, when the facts relating to convictions are quite clear that these types of crime not only exist, but are admitted by the Metropolitan Police as being under-reported. Of course, you may show this email to Ms Waterhouse and she is free to make any comment she wishes in her defence. I do want to be fair about this concerning issue of misleading journalism. I look forward to hearing from you about both a retraction over comments about me and clarification over the points that were clearly wrongly reported.